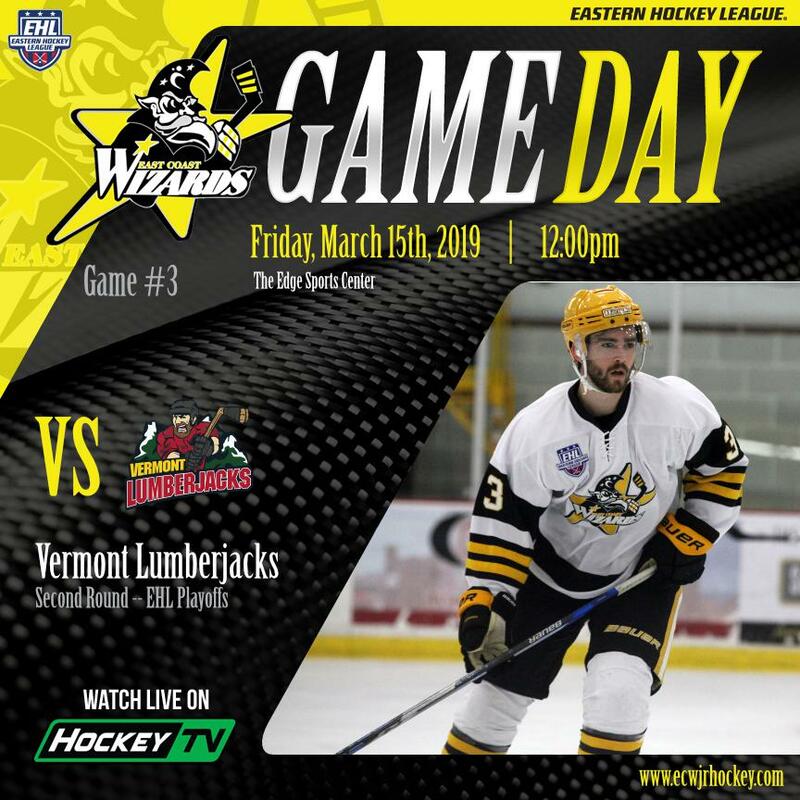 BEDFORD, MA -- The East Coast Wizards hit the ice for the biggest game of the season, this afternoon at 12:00pm against the Vermont Lumberjacks. This is game #3 of the Second Round series and the winner will advance to Providence for the EHL Frozen Finals. "This is what you play for," said Wizards head coach and general manager Freddy Meyer. "It's plain and simple. The winner moves on, the loser goes home. We need to leave it all on the line today." This is the the 3rd time in Wizards history where the team will take the ice in a decisive third and final game of a series. The previous two matchups each took place during the 2016-17 season, as the Wizards beat the Warriors in their first game #3 and lost to the Jr. Flyers in the second elimination game. If you can't make it Bedford for the game, you can catch the action live on HockeyTV. Also, be sure to follow the Wizards on Twitter, for updates throughout today's matchup.